Somali National Army (SNA) have arrested three senior Al-Shabaab members in an operation conducted on Sunday evening in the country’s southern region of Bakol, officials said on Monday. Dahir Ali Mohamed, the commander of 260 unit section nine told journalists that their forces apprehended three high-profile militants in the Amniyat, al-Shabab’s intelligence wing in an operation in the region. 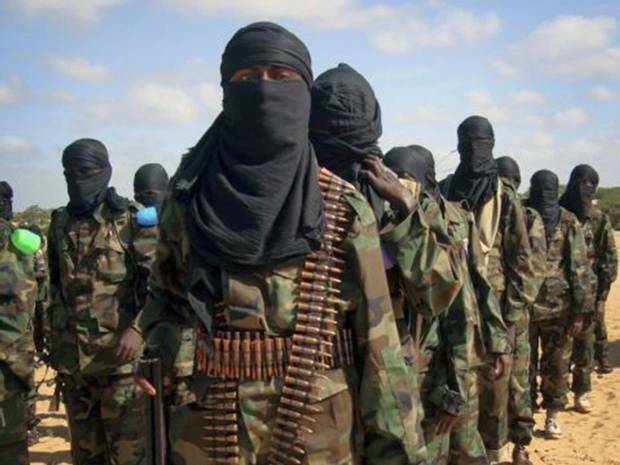 “Our forces have detained three al-Shabab terrorists who were planning terror attack on the residents and assassinate people,” the official said. Mohamed noted that Somali army will intensify the operations on al-Shabab militants in the region. The move comes amid Somali national forces are conducting major operations against the al-Qaida-affiliated group al-Shabab in central and southern Somalia. Somali National Armed Forces (SNAF) backed by African Union Mission in Somalia (AMISOM) ousted al-Shabab from the capital Mogadishu in August 2011, but the terror group is still in control of several areas in southern Somalia and capable of conducting attacks. Meanwhile, the security forcers are interrogating a foreign national who was arrested with explosive material while trying to travel from Mogadishu airport to Ethiopia on Sunday. The security official said the suspect was nabbed as he was due to board the Ethiopia-bound plane but it was not clear why the foreign national was travelling with prohibited materials. The arrest comes amid heightened security surveillance following attacks on Ethiopian soldiers on Saturday. The insurgents claimed to have killed 57 Ethiopian troops in southern Somalia. The U.S. army responded and later killed 52 militants. The arrest of the foreigner at the airport comes two years after Daallo Airbus was attacked with a laptop bomb, killing one person thought to be the suicide bomber and injured two passengers. The aircraft A321 flight was about 15 minutes in the air when the bombing incident happened on February 2, 2016, causing a hole in the fuselage. However, pilots managed to land the aircraft back to Mogadishu Airport safely and without any further incident.